If you are bored or looking for a couple of new creative hobbies to add to your everyday routine, you’ll absolutely love this awesome compilation of the most interesting hobby ideas that we prepared for you today. Some are relaxing, others are educative, and all of them are truly inspiring. 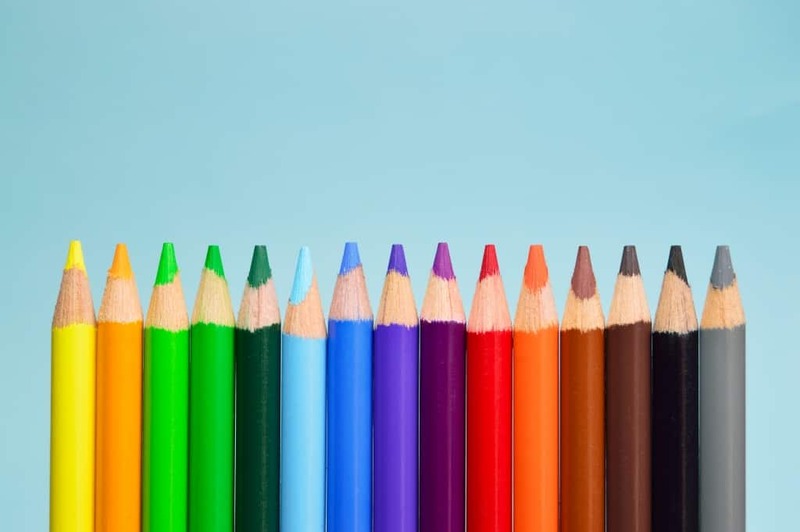 Check out our TOP 5 fun creative hobbies that will help you forget about stress and depression. You can master new skills and possibly earn some extra cash as a nice bonus. There’s no need to be a professional to take up these cool hobbies. If you are a fan of drawing, painting, coloring and DIY crafts, then you’ll easily succeed in each of them. Read on and get ready to choose your next creative adventure. Calligraphy is a visual art often referred to writing. This hobby is quite easy and affordable and once you master it you will find it truly enjoyable. You can start learning calligraphy without purchasing any professional tools. Begin with some worksheet sets that can be easily downloaded and printed at home. Using these worksheets you will find that calligraphy is an ideal creative pastime to bring out your artistic side. The best thing about this activity is that it has no age restrictions and your handwriting doesn’t have to be ideal. But after some practice, your speed, rhythm, muscle memory and handwriting skills in overall will inevitably improve. If you are expecting to achieve great results super fast, that’s probably not the best option for you. Mastering calligraphy takes time. 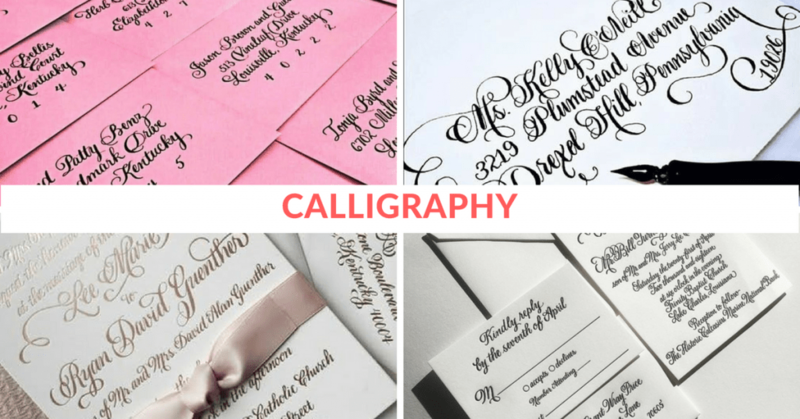 However, after hours of practicing and training you can even make money preparing calligraphy materials for weddings, menus, and printable or digital designs. A great idea is to start your own blog or share your works on social media to get more publicity and allow people to see your fantastic achievements. Starting point: Visit this website: calligraphybyjennifer.net by Jennifer Gillespie with inspiring calligraphy artworks in the portfolio section. You will find them absolutely inspiring! Lettering and keeping up with the latest trends in the industry has become an integral part of Jennifer’s life, so she is constantly evolving and learning new things! Jennifer offers so many cool things and features lots of stunning fonts that you can get lost in this variety. When she is not doing calligraphy she is crafting home projects, decorating and of course spending time with her family. As Jennifer says, she has been blessed to do calligraphy. If you are willing to try this wonderful hobby, check out this Calligraphy Learning Kit and get everything you need to start on this new creative activity! 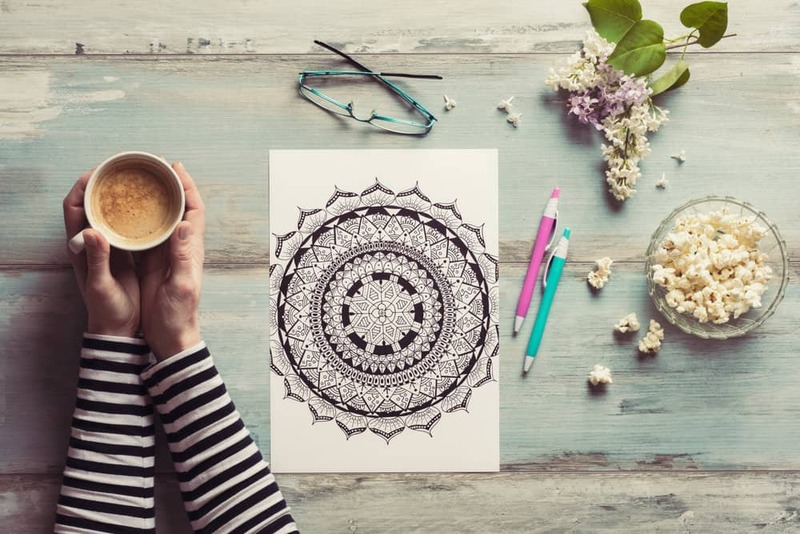 If you are looking for a relaxing hobby that can help you de-stress and release your inner artist, then you should definitely try drawing mandalas. Mandala designs have a deep spiritual meaning and can become your source of healing powers. 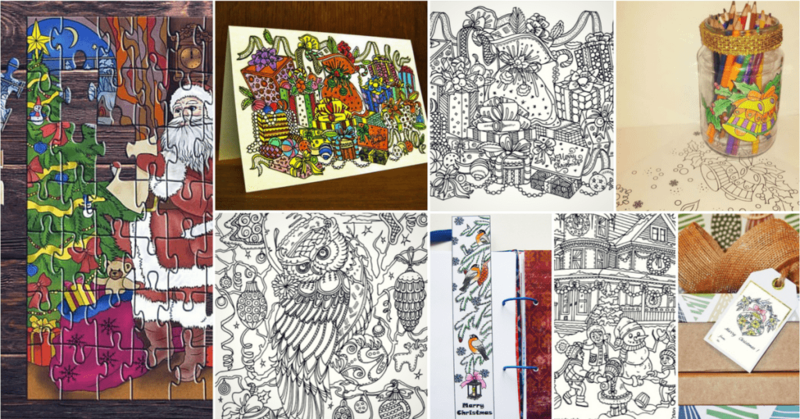 Besides they are very popular among adult coloring fans. 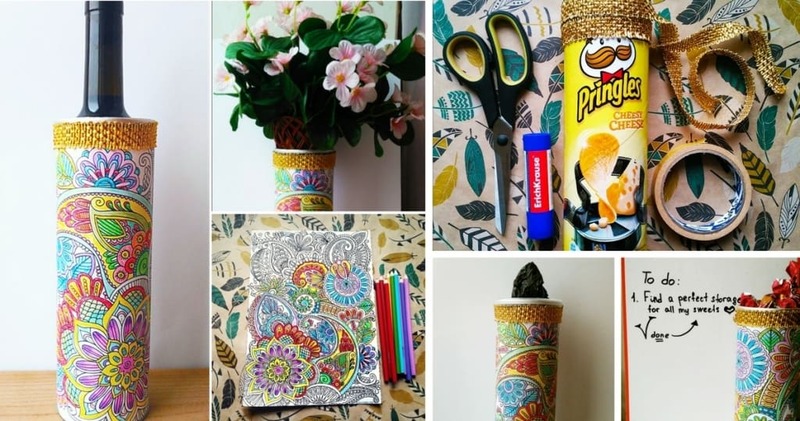 There are lots of mandalas out there, but it’s actually pretty easy to create some of your own. Draw mandala designs yourself and turn them into unique gifts for your friends and family. This hobby doesn’t require any professional tools at all and same as calligraphy it has no age restrictions. No strict rules to follow, just freedom of your imagination. You can draw circles and figures of any complexity. The best thing about mandalas is that according to Carl Jung studies that we mentioned in our previous post drawing circles has a therapeutic effect, expressing your inner state and rebalancing your personality. 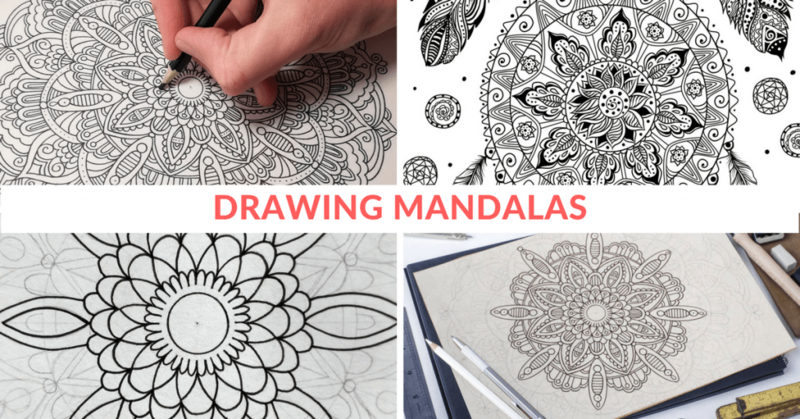 After you master mandala drawing skills you can share your artworks with friends and stay balanced knowing that you achieved great results in this new creative activity! 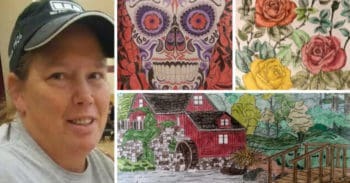 Starting point: Visit 100mandalas.com website by Kathryn Costa, an incredible artist who is a real professional in drawing mandalas. She is also a writer and an educator. 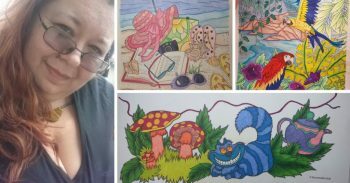 In October 2014, Kathryn decided to challenge herself and create 100 mandalas in 100 days and invited her friends online to join her. 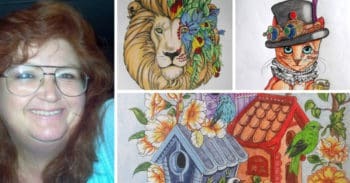 Within a year, her community has quickly grown to include thousands of mandala enthusiasts from different parts of the world. 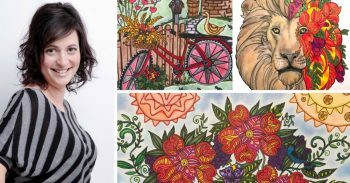 Kathryn is the author of “The Mandala Guidebook: How to Draw, Paint and Color Expressive Mandala Art”. You can download and read the first chapter of her book for free HERE. 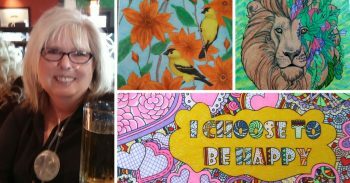 Each month Kathryn hosts a mandala challenge and this month she has two contests that you may be interested in. One is to draw a mandala with everyday household items and the second contest is a coloring contest. 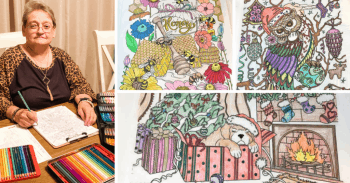 Kathryn has kindly shared a link to her website where you can get over 200 mandala and hamsa coloring pages to download. Paper quilling or simply “quilling” is a modern hobby, a sort of decorative art where you have to cut paper into long thin strips, roll them and pinch these pieces into different shapes and glue the shapes together to form your project. It’s more than just a pastime or producing decorative items out of rolled paper strips. It has certain fundamental principles and rules that you should follow. You need to know what types of paper you’ll use along with different shapes that you can create. Quilling is a perfect way to creatively express yourself using colors and your imagination. You can decorate cards, boxes, some picture frames with quilling projects. There is no limit to what you can do! The most incredible thing is that quilling can be mastered in a couple of hours plus it’s really cheap. Want to become a professional quilling artist? No problem! All the tools you may need are moderately priced so you can start exploring this marvelous hobby “like a boss”. No matter what you choose to create, we are sure you’ll love it and will truly enjoy the process itself. Starting point: Check out an account of a great Mumbai-based illustrator and “paper typographer” Sabeena Karnik who produces spectacular forms utilizing quilled paper on Behance and on Instagram. Sabeena creates logos, book covers, and various editorial layouts. She loves working with paper and exploring its endless possibilities. 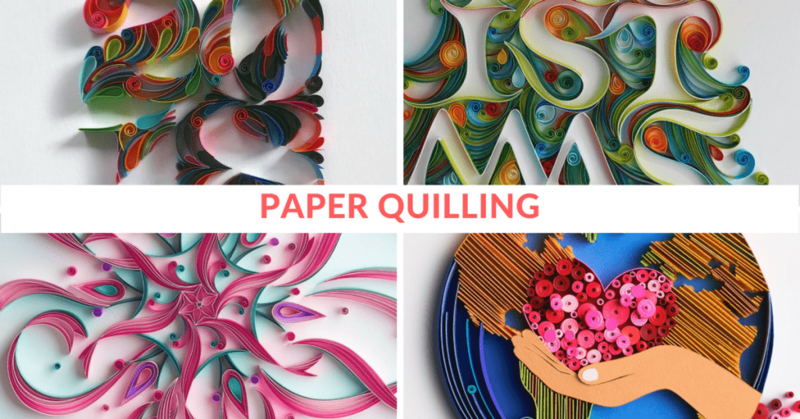 Her incredible works will undoubtedly motivate and inspire you to try paper quilling! After you try Calligraphy, Mandalas, and Paper Quilling you will probably have tons of tools, pieces of colored paper, some pictures or even photos left. There’s no need for them to go to waste. 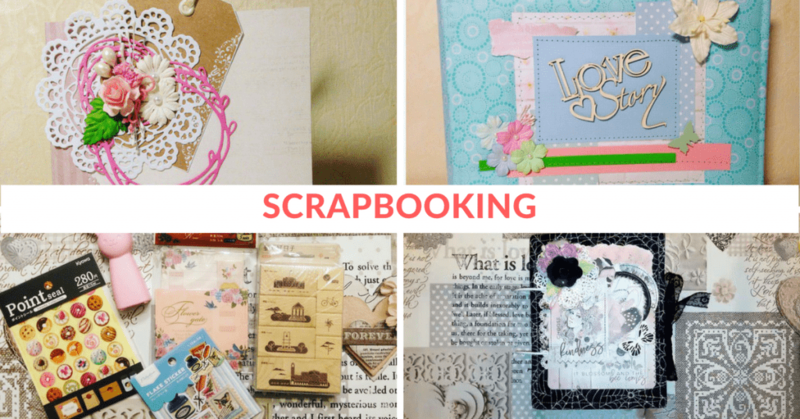 You’ve probably heard about scrapbooking, right? It’s one of the most popular creative hobbies out there. And the best thing is that you can actually use all of those things left from other projects to create amazing cards or albums. The main idea of scrapbooking is to add a unique touch to ordinary items and to express your creativity through cropping and filling in the blank sheets. A scrapbook tells a story in photos and you are the one who decides how to decorate them. Scrapbooking is a long-playing craft and it may take a while until you decorate every page of the photo album BUT it’s totally worth it! Scrapbooking can quickly turn to an expensive hobby, but everything depends on the cost of the materials an artist adds to his album. If you compare scrapbooking to our next hobby in this compilation you will see that it is actually quite affordable. Remember that the more details you add to your work, the more precious it becomes. No limits and no rules, just your inspiration to input all your love and share it with your nearest and dearest through a walk down memory lane. You should definitely give this hobby a try! 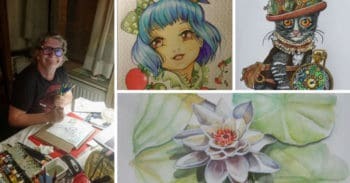 Starting point: We recommend you to visit shimelle.com, a website by Shimelle Laine, a London-based scrapbooking guru who thrives on education in the crafting world. Shimelle was the first one to start the online skrapbooking classes more than ten years ago. She has been teaching scrapbooking full-time ever since. Her exciting artworks will make you fall in love with this wonderful art. You can sign up for her scrapbooking classes and master scrapbooking techniques under the guidance of Shimelle. For more inspiration check out the works by Tatyana G. (@takada_misaki). She started scrapbooking to surprise her friends and loved ones with unique hand-made gifts. 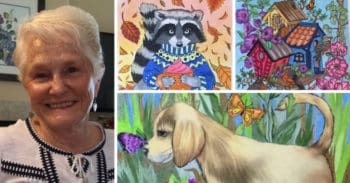 Now she creates birthday cards, photo-albums, notebooks and lots of other fun projects. Marbling is a printmaking activity that can be referred to as capturing a starry sky on paper. To be more exact paper marbling is an art of painting on a water surface and then transferring your design from water to paper. 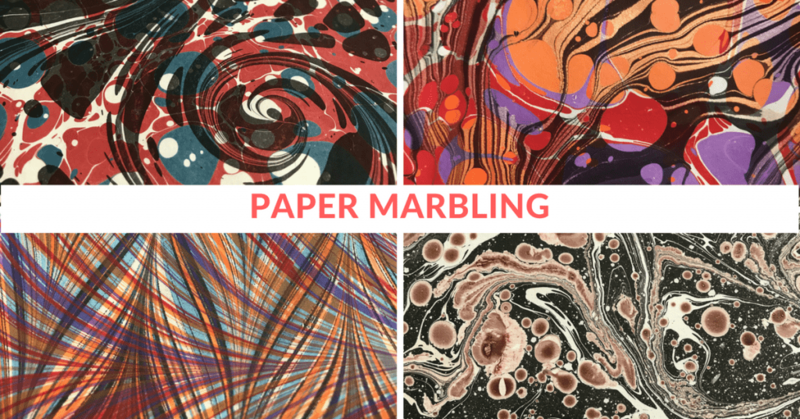 Paper marbling is an exciting and very interesting form of art. At first glance, you may think that this hobby is quite expensive, but if you dive deeper, you will be surprised by the variety of easy and fun marbling techniques. The very first piece of paper that you pull from your marbling tank will never be replicated again because each marbled paper is unique. Paper marbling is an activity with no way to fail. You can do so many things with marbled paper: envelopes, bookmarks, notecards, collages, holiday decorations and even jewelry. Later on, you can even try to marble clothing and accessories. Starting point: Visit jemmamarbling.com by Jemma Lewis, a marbling queen. She owns a workshop and a design studio based in England and her marbled papers are dispatched worldwide. Jemma produces a large and comprehensive range of hand-marbled papers for bookbinders, publishers, designers, interiors, restorers, and retailers. She has a great collection of artworks posted on her Instagram account that you’ll be fascinated with. Everyone needs a hobby or even a couple of creative hobbies in order to distress and relax. Between work and home, tasks, and responsibilities we are constantly looking for an escape from the routine. Luckily there is an incredible variety of different creative hobbies to give us joy and fun. Whether you are sing, dance, color, draw mandalas or read books, when doing it with love and passion, you’ll always be rewarded. You can share ideas with your friends and inspire them to try a new hobby together. If you are already an enthusiastic colorist in need of some fresh original content and a caring community of like-minded people, then Favoreads is your go-to place. JOIN our coloring club and learn how to draw your own mandalas, how to make awesome DIY projects with your finished artworks, share your creations with others and receive new coloring pages added every week!